One of the biggest struggles that I faced early on in my business (and that I see others struggle with ALL. THE TIME.) is getting SUPER clear on what they stand for, and who they serve. Creating a manifesto is not only a quick way for people to familiarize themselves with your brand, but it’s also a super fun exercise. Win, win! There are a handful of different ways you can go about creating a manifesto, and each has it’s own set of benefits for your readers. In this article, I’ll outline some of the variations you can opt for, how you can go about creating one, and then what on earth to do with it. First, let’s get clear on what a Manifesto is. Though manifestos can take many shapes and forms, the intention is universal. Merriam Webster defines a manifesto as: a written statement that describes the policies, goals, and opinions of a person or group. What you aspire to create or embody. Advice for how others can do the same. Rules or policies that you adhere to. Making decisions for their own life. Course correcting when they get off track from their goals. Surrounding themselves with people who also share the same belief systems. Manifestos are digestible pieces of content that can help unite you with your followers, but also strengthen the community among them. Helps people connect to your mission. Gives people something to share. You can sell it if you have an established brand. But what kind should you create? Do you opt for a more visual approach like the Holstee Manifesto? Or are you longer winded, and prefer to follow Jeff Goins Example. Short answer: choose whatever fits you and your brand the most. If you’re appealing to writers, then maybe an ebook or PDF is more your style. If you want something that people can easily post around the web (or in their home) then a visual graphic is probably more appropriate. Thought Leader/Expert: Think of these as commandments or Best Practices that your clients can live by. Personal: Think of this as a public vision board. Thought Leader/Expert: Similar to the Holstee example or The Bold Life Movement Manifesto below, this is a visual representation of your values and intentions. Corbett Barr also employs this style with his Expert Enough Manifesto. Corporate: This can personalize your brand more, Lululemon Manifesto is a great example. As videos grow in popularity, this can be a really great choice for anyone looking to connect deeper with their audience. Ex: Creating a video for your about page on your blog, business website, etc. Thought Leader: Chris Guillebeau and Jeff Goins offer great examples for their followers who are aiming to create careers in writing. Corporate: Your company’s manifesto may be a summary of the mission statement, goals for the company, and a description of the world you’re looking to create through your work. No matter what style of Manifesto you choose to create, you have options in how you bring this baby to life. Visual Manifestos: You can create actually it yourself in an hour or so using tools like Canva, photoshop, microsoft word, etc. The Bold Life Manifesto you see above was created using Canva. Video: You can use your iPhone or digital camera and edit in iMovie or other free video editing software. PDF: These are easier than ever to personalize. Just create your documents in Word or Google Docs, print as PDF, and Voila! If you want to save time, or you know your design skills are lacking, you can easily outsource some of all of the options above and for not that much money. Fiverr, Upwork, & Freelance are great sources for getting help with design editing services on really any sort of project. Launching a brand can be daunting with all the moving parts. Simplify your life, and get clear on your vision from the start by creating a manifesto to unite your readers/followers/customers/etc, and to give cohesiveness to your message. Still struggling to nail down your message? Unsure how to get out to the masses once you do? 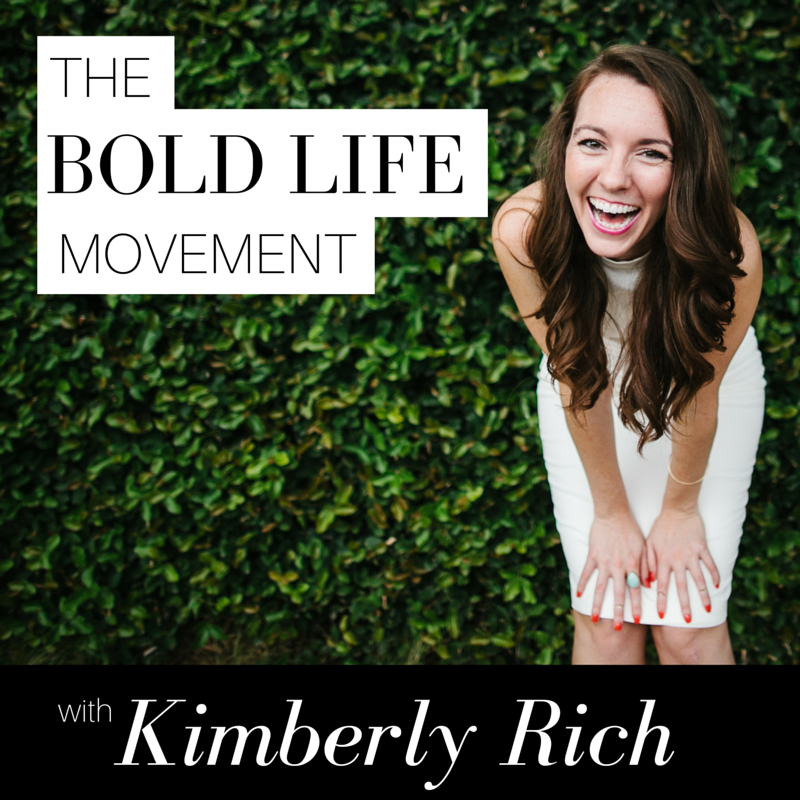 Join me (and other passionate entrepreneurs) this fall for Bold Life Business School. In just 12 weeks, we’ll take your idea from infancy to influence, and create the impact you know you’re meant for. Click Here to get all the deets!